The short story, Three Blind Mice, is the basis for the longest running play in the English language, The Mousetrap. That in itself is pretty darn impressive. The story itself is very Agatha Christie with red herrings galore and an ending you just don’t quite see until you get there. This, more than some of the other stories in this anthology, is a stand alone story. There is no Poirot or Miss Marple to solve the case. There’s just a young newly married couple who have recently inherited a large mansion and turn it into a bed and breakfast. They have three initial guests staying in the hotel and one who shows up unannounced in the middle of a snowstorm. In London, and seemingly unconnected to this story, a woman is found murdered with a note and the rhyme Three Blind Mice written on it. It take a bit for the case to build up, increasing the paranoia of the characters and reader. But when it does wow. Agatha Christie has some of the most unbalanced villains. One of the other stories that really struck me was The Case of the Caretaker. This story featured the lovely Miss Marple. I just couldn’t shake the feeling that somewhere I had read a story very similar to this one. Newly married couple, then the wife dies mysteriously after being cursed by a gypsy woman. Then it hit me. I had read this before. It’s actually a different Agatha Christie novel called Endless Night, as well as a movie starring Hayley Mills. It makes me wonder if this short story was a precursor to the longer novel. They have very similar styles and plot lines but Endless Night delves much more into the psyches of the villains, and Miss Marple plays a much smaller part. Endless Night is one of the more unsettling Chrisite novel’s I’ve read because of the villain. All in all, this was an extremely fun read. Some of the stories had to stretch a bit to come to the conclusion but the majority were just as ingenious as Christie’s novels. If you like Agatha Christie style mysteries I would definitely pick up this collection of short stories and give it a read. Next up in Book Battle 2015 is a novel composed of short stories. I had quite a hard time finding a short story anthology that I was interested in and had not read before. 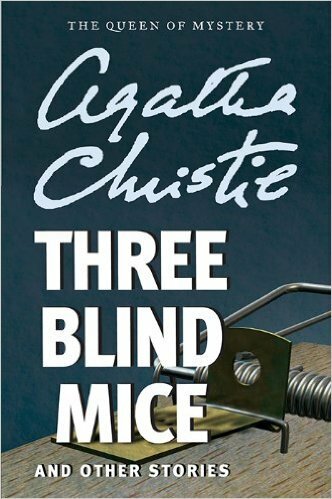 I was going to re-read a Daphne du Maurier short story anthology before I found Agatha Chrisite’s Three Blind Mice and Other Stories. I grew up watching the Hercule Poirot mysteries on A&E with my mom and reading Agatha Chrisite novels filled with interesting and broken characters. I love that her two main characters are so different yet so similar at the same time. Miss Marple and Poirot both are very particular about getting there way and investigating the small things. I was happy when I saw that this short story compilation has both great detectives and then a few other stories thrown in. 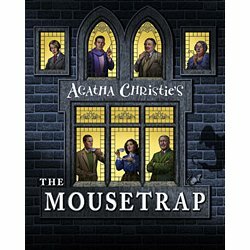 I can’t wait to get started and see what confounding mysteries Miss Christie has in store. Stay tuned for the full review of Three Blind Mice. Happy reading!